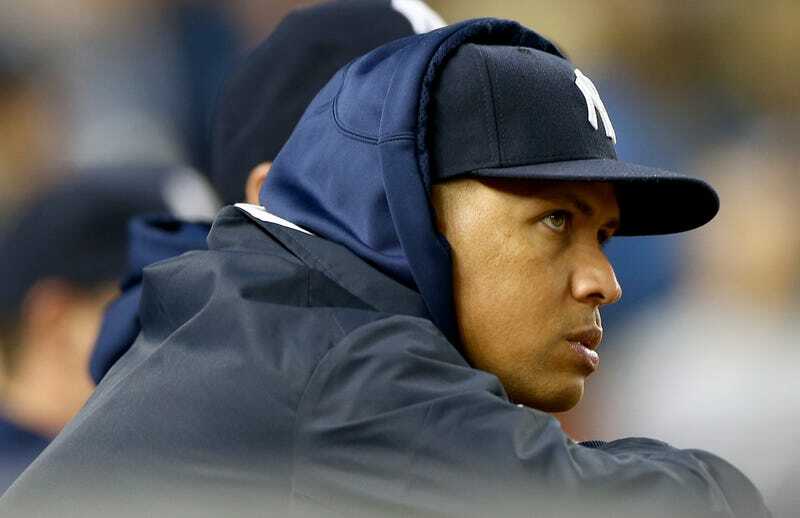 Below you can read Alex Rodriguez's full suit against both Major League Baseball and the players' union. Filed in a New York district court today, it seeks to overturn the arbitration panel's ruling that imposed a 162-game suspension, keeping Rodriguez out of baseball for all of the 2014 season. Rodriguez's suit is a shotgun spray of allegations. It claims the suspension isn't covered under the CBA, and that arbitrator Frederic Horowitz "exhibited a manifest disregard for the law" and "refused to entertain evidence that was pertinent and material to the outcome"—namely his failures to censure MLB's investigation tactics and media leaks, and to compel Bud Selig to testify. Regarding the MLBPA, Rodriguez claims the union "completely abdicated its responsibility to Mr. Rodriguez to protect his rights." The chances of Rodriguez's suit succeeding remain slim. Ever since a federal court's 1976 ruling upholding an arbitrator's decision to grant free agency to Andy Messersmith and Dave McNally, collectively bargained arbitration has been a ballplayer's last recourse. Unless Rodriguez can somehow prove his arbitration hearing was materially unfair, he's boned. The most interesting part of this filing is Frederic Horowitz's unsealed decision in the arbitration hearing. (You can find that on page 44 of the document below.) It is stunning how completely it accepts MLB's arguments, and rejects Rodriguez's defenses. The hammer blow: "A review of all the evidence and argument presented by all parties in this proceeding clearly and convincingly establishes Rodriguez committed multiple violations of the [joint drug agreement] and [collective bargaining agreement] warranting a substantial disciplinary penalty." Horowitz accepted that Rodriguez's use of three different banned substances should be counted as three separate violations of MLB's joint drug agreement: "Use and/or possession of three discrete [PEDs]...testosterone, IGF-1, and HGH." Horowitz also concluded Rodriguez committed two separate efforts to obstruct MLB's investigation: a public denial of being treated by Bosch (and inducing Bosch to publicly back him up), and a later attempt to get Bosch to sign a sworn statement denying his claims. How did Horowitz land on a 162-game suspension? The opinion tries to find precedent for a suspension like this and is unable, but uses the JDA penalty schedule "as a guide" for his punishment. By counting the use of three separate drugs as three first-time offenses, Horowitz says "Rodriguez's conduct would merit no less than a 150-game suspension." By adding the two counts of obstruction—but noting that "no MLB player has been suspended for any substance abuse violation longer than one season"—he finds 162 games to be appropriate. "It is recognized this represents the longest disciplinary suspension imposed on an MLB player to date. Yet Rodriguez committed the most egregious violations of the JDS reported to date..."
"While this length of suspension may be unprecedented for an MLB player, so is the misconduct he committed." Here, Rodriguez's suit, and the arbitration panel's findings.